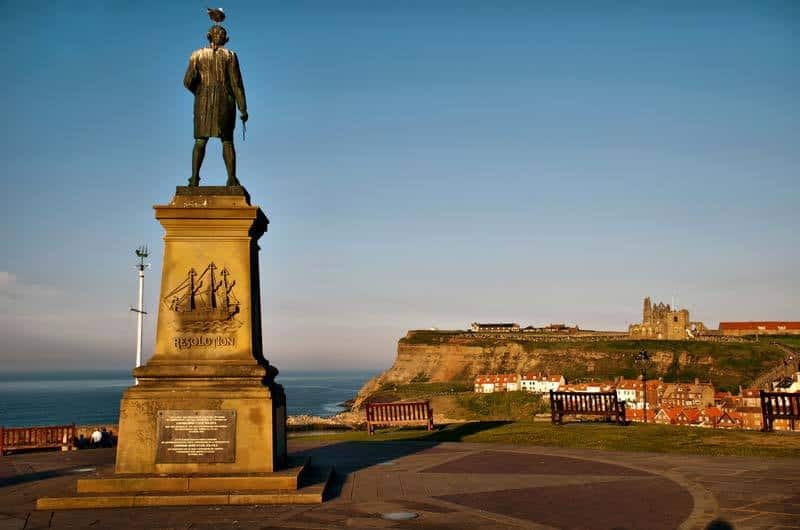 Enjoy your visit to North Yorkshire at one of these fabulous boutique hotels in Whitby. We’ve put together a list of the best boutique hotels in Whitby for your consideration. There are many, varied ways of enjoying a break in the pretty town of Whitby. This is one of the UK’s finest destinations for visiting the beach, soaking up lovely scenery and visiting historic sights. Whether you want some family fun or a romantic couple’s break, there is a lot to recommend this delightful town in North Yorkshire. The first step towards getting a hugely satisfying holiday here is to find the perfect accommodation, of course. The wide range of visitors that come here has led to an interesting selection of places to stay being made available. Among these options, you will find some cool boutique hotels in Whitby that offer you the chance for a memorable and comfortable stay. They aren’t all typical boutique accommodation that you might see elsewhere. Some have individually designed rooms but others simply have a boutique feel due to having a cosy number of rooms and excellent, personalised service. Either way, the following list of hotels gives you a number of fine places to stay on your next trip to Whitby. 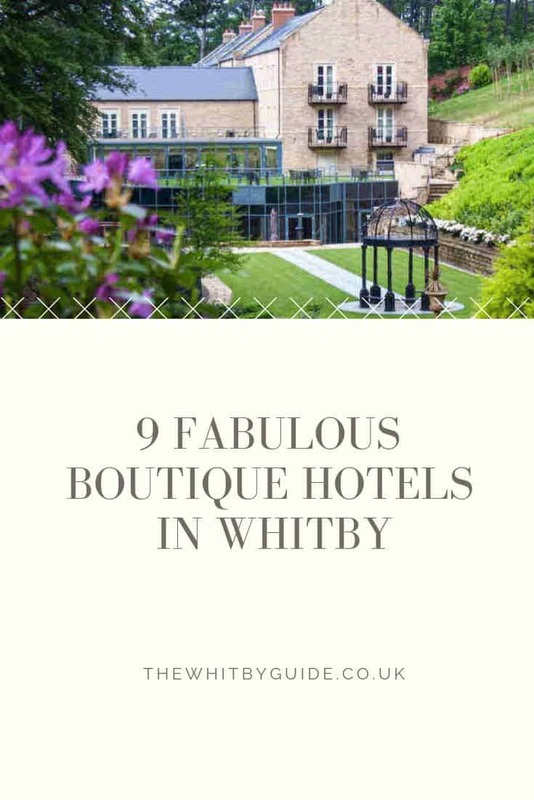 The Leeway is billed as a ‘quality boutique bed and breakfast’ but that doesn’t discount it from our round-up of the top boutique hotels in Whitby. There’s just a handful of hotels in Whitby so we’ve included the best boutique experiences rather than a strict ‘hotel’ criteria. Happily, The Leeway is a fantastic place to stay for those seeking a boutique experience in Whitby. Rated as a four star, gold award winning bed and breakfast, The Leeway has a lot to offer guests. The breakfast is locally sourced and created from the finest ingredients; the full english breakfast is the stuff of legend! In the bathrooms you’ll find complimentary Gilchrest and Soames toiletries for your enjoyment and pleasure. In the bed you’ll luxuriate in the finest Egyptian cotton and lavender mist pillows for a restful nights sleep. Please mention The Whitby Guide when making an enquiry or booking. The big thing at the Riviera Guest House in Whitby is the stunning sea views. Most of the 15 individually styled rooms have a sea view and the floor to ceiling bay windows offer some of the most sought after views in the whole town. Like the Leeway, the Riviera is a gust house rather than a traditional hotel but the boutique feel of this place is the main attraction. 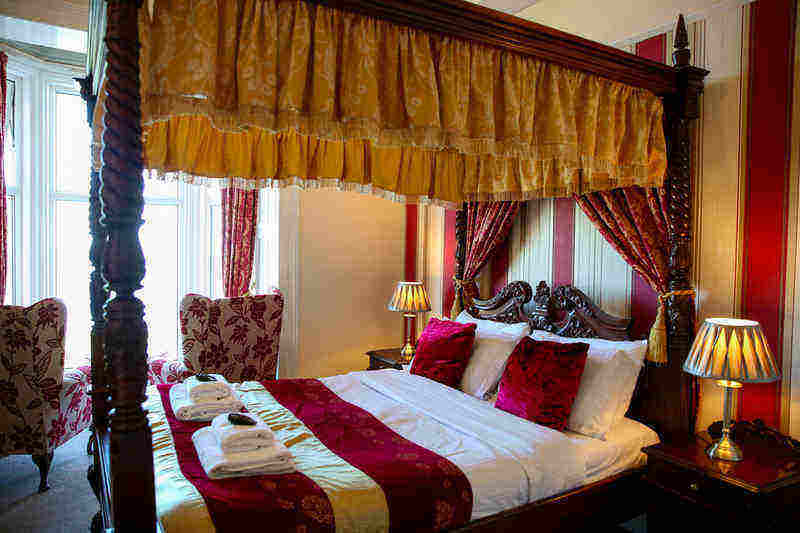 The king size and superior four poster rooms are some of the best to be had in Whitby. Dillons is the only 5 star accredited Michelin recommended B&B in Whitby. In our opinion this qualifies Dillons as one of the top boutique hotels in Whitby. 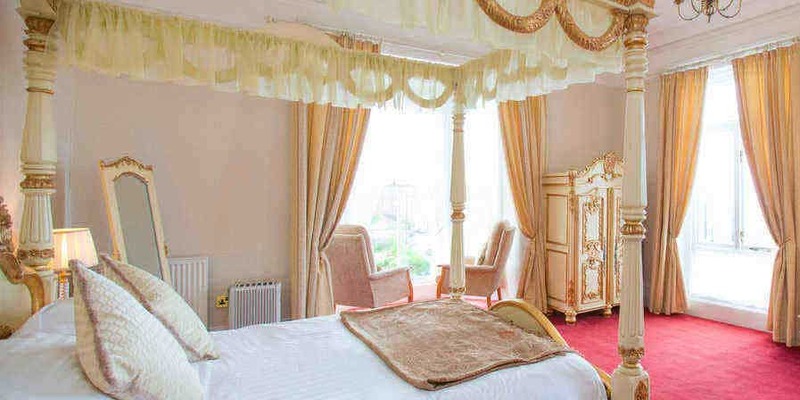 The stylish rooms at Dillons follow a travel theme; The Toulouse is of course French, with a rococo king size bed, chocolate and gilt finish, french dresser and french doors leading out to the ful length decorative balcony with views over Pannett Park. The Raj takes inspiration from the Far East and has a delightful laughing Buddha to ease you into the day. The Troon echoes the bagpipes of the Scottish Highlands and The Masi whisks you away on safari across Africa. 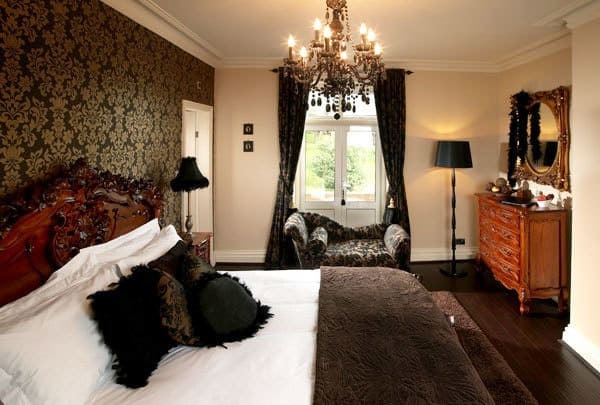 This stylish, romantic boutique hotel is in the West Cliff area of Whitby. It is a stunning townhouse and it also has a fascinating history, with Lewis Carroll once being a regular visitor here. The gorgeous views are among the many highlights here. Also sure to delight you are the individually decorated rooms, each drawing inspiration from the rich history of Whitby. The tea room is another terrific part of the hotel, with great drinks and home-made cake served. Overall, staying in this hotel is a little bit like taking a step back in time, with no TVs or phones in the rooms to distract you from the pleasure of a relaxing break. Located on Marine Parade, this is another wonderfully well-located boutique hotel in Whitby that overlooks the famous harbour. 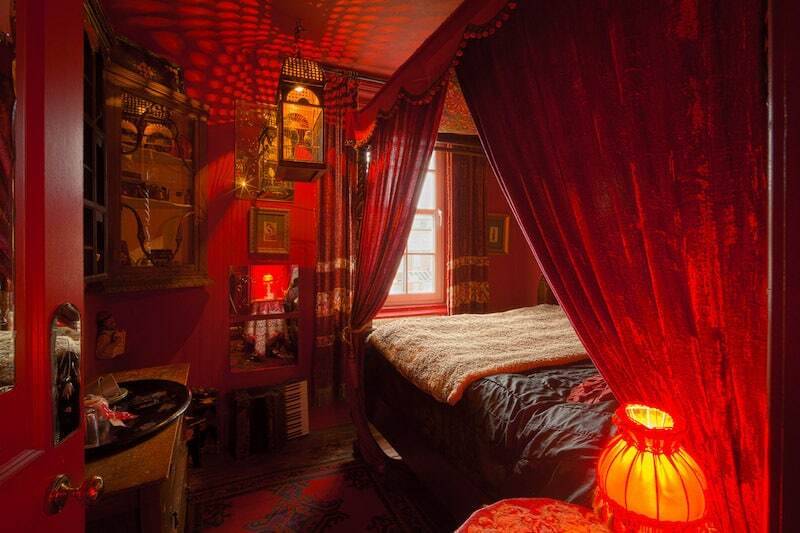 With just 4 rooms – each decorated differently – this is the sort of boutique experience that lingers long in the memory. 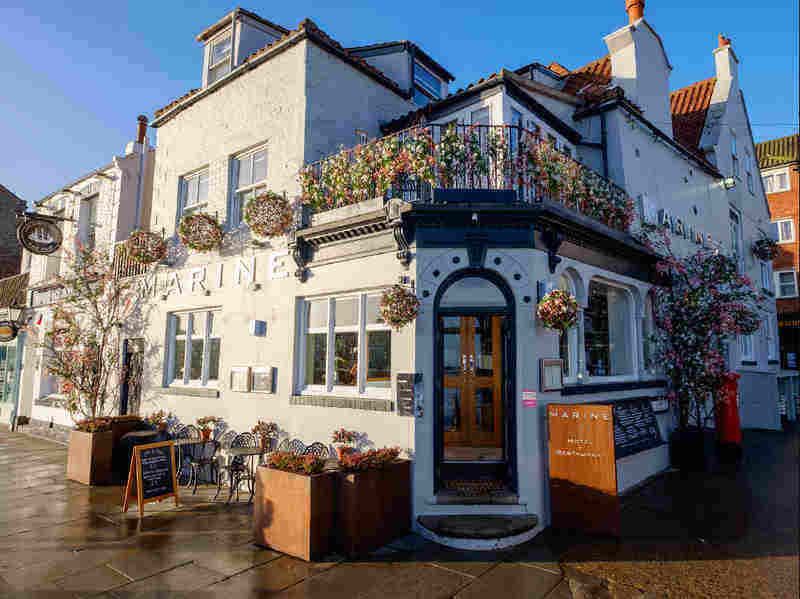 The Marine Hotel is perhaps best known for the delicious food served here. If you enjoy eating seafood then you will be delighted at the quality of the dishes served in the restaurant. As you would hope for in a smart hotel like this, the service is particularly warm and welcoming. Being able to eat so well in the hotel is a huge advantage, while there is also live music evening on some evenings too. This smart, modern hotel gives you another option for staying in central Whitby. If you like to stay somewhere close to all of the main places to see then Hudsons gives you exactly that, although it is a bit further away from the harbour than the other hotels we looked at above. It is worth pointing out that car parking is one of the few issues that guests to Whitby hotels sometimes find they need to sort out. Getting a good value, secure place to park in the centre of town is tricky but the owners here will give you a parking pass that saves you some money. All in all, this is the sort of accommodation that lets you simply enjoy the pleasure of a relaxing break in a beautiful spot. There is no breakfast included here and the main choice you are faced with is between a Standard or Premium room. There is some debate over whether this Whitby hotel should be classed as boutique or not. Certainly, it lacks the modern feel and uniquely decorated rooms that you might expect. However, with a friendly feel and only a small number of rooms, it is worth considering. The Saxonville Hotel is in the pretty West Cliff part of Whitby. Since dinner, bed and breakfast packages are offered this is an ideal place if you like to lounge around the hotel and take it easy rather than going out and hunting for food each day. As with all of the best hotels in Whitby, you are close to a number of great things to and see here. They also run special events such as wedding receptions, business conferences and Christmas parties in their spacious suites. With just 10 rooms, the White House Inn is another welcoming and cosy choice in Whitby. It is just a few minutes’ walk from the beach and some rooms have balconies with splendid views. A big benefit here is that the Sea View Restaurant that is part of the hotel offers lovely, fresh seafood dishes. It is also a popular choice with golfers, as Whitby Golf Course runs right the hotel and guests get a discount when they play there. The range of services is as you would expect from a good hotel, with breakfast included, Wi-Fi and an electric kettle for making tea with. 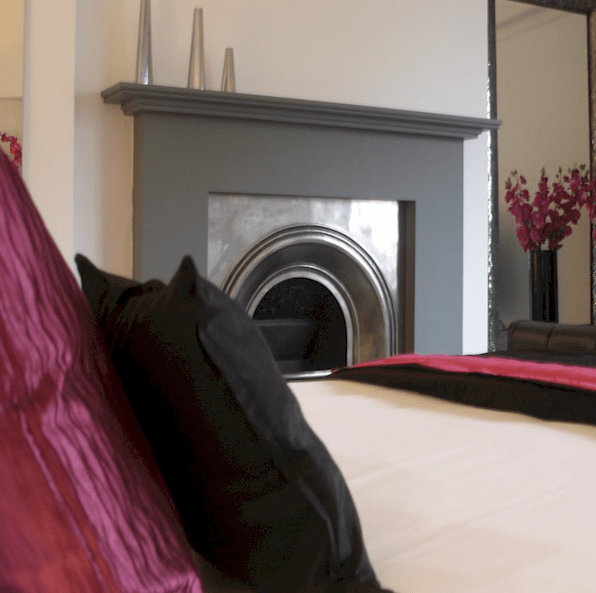 With just 6 luxury rooms, The Langley is the sort of home from home that it is easy to fall in love with. This is officially classed as a 5 star bed and breakfast, sitting in the White Cliff area and with some stunning views out to the North Sea. Guests tend to love the friendly, warm service on offer here. Breakfast is also a treat, with the grand dining room offering lovely views that help get any day off to an unbeatable start while you enjoy a hearty breakfast. The rooms themselves are all large and well-equipped. They are all en-suite and have everything you would expect from a good hotel, such as a wide screen TV, Wi-Fi connection, courtesy tray and a mini fridge. 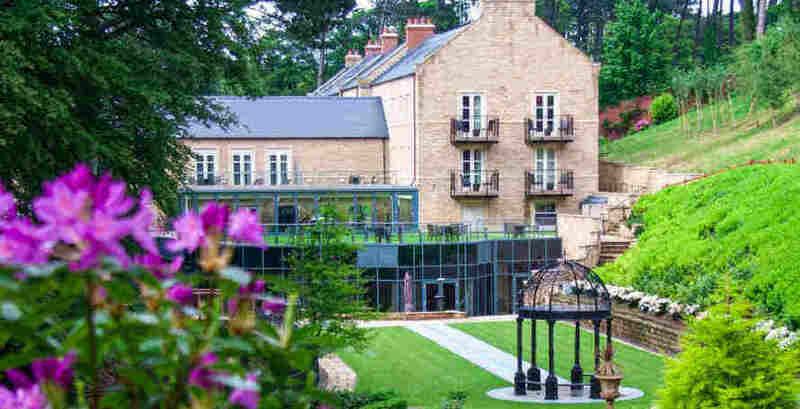 The final option in our list of boutique hotels in Whitby is called Raithwaite Estate. This hotel sits in 100 acres of ground that include a spa as well as a number of picturesque stone cottages. There is a variety of accommodation in this estate, featuring both traditional hotel rooms and those unique cottages. In either case, you get a luxury room and quality service, all with a stunning woodland backdrop. 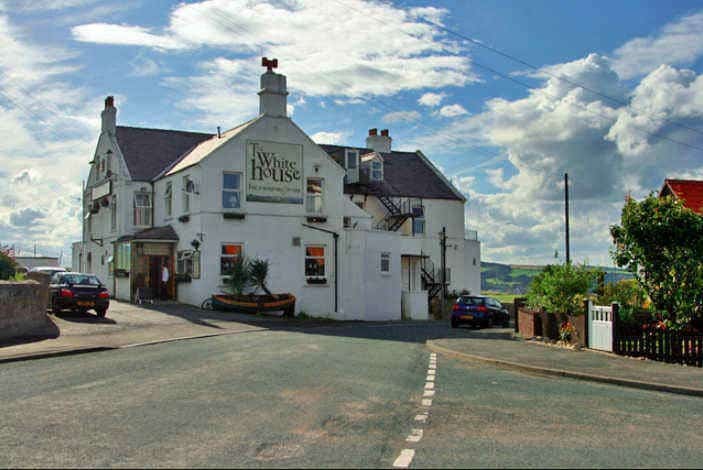 This hotel is well situated for taking advantage of both the attractive coastline and the North York Moors. It is the type of hotel that is perfect for that special occasion when you want to get away from the stresses and strains of everyday life. 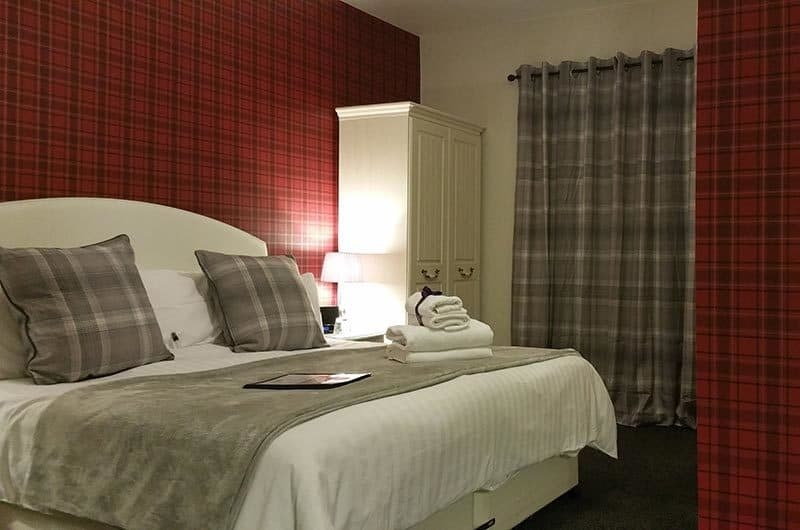 By choosing a fabulous Whitby boutique hotel you can enjoy the sort of relaxing atmosphere that helps you to make the most of this town by the sea. 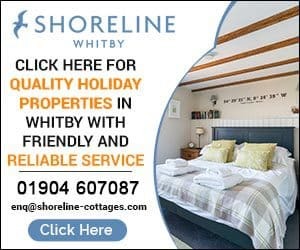 As we have seen, not all of these hotels are typical boutique hotels, but they do all offer you a fantastic place to stay when you next visit Whitby. 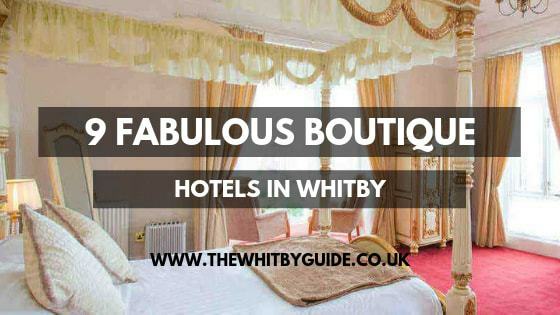 Love Boutique Hotels In Whitby? Pin It! Looking For A Boutique Bed and Breakfast In Whitby?